Football is a game that relies upon years and years of practice. The sport is full of stories of those who had an overabundance of talent and skill, but for whatever reason, could not translate that into success. It is a cut-throat business, and from an early age you are required to acknowledge your strengths and work with them in mind. The game is therefore littered with players who have maximized their specific talents to the highest degree. We all know it. The "Robben". The cut inside off the right right flank, onto the left foot, and before you know it it's in the net. The Dutchman's signature move is as predictable as it gets, but no less unstoppable. 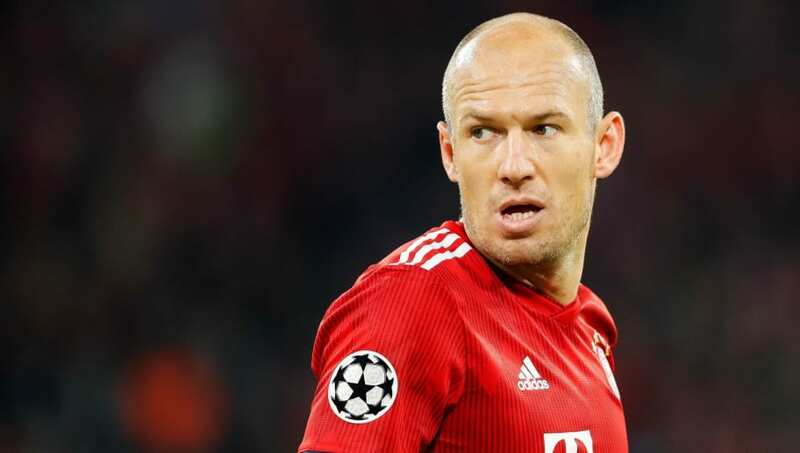 Now 34 years old, the former Chelsea and Real Madrid star, who has been at Bayern Munich since 2009, has been tormenting left backs for years now with his archetypal skill. Because it's one thing to continually remind players to not let him get on his left - it's another thing entirely trying to stop him. Son of Peter 'the Great' Schmeichel, Kasper has gone about his footballing business with utter professionalism, constantly improving and honing his skills. One of those most prized qualities is his penalty saves. The Dane was instrumental for Denmark at the World Cup, stopping both Luka Modric and Christian Cueva in normal time. Overall, the 31-year-old's penalty record reads 52 faced, 20 stopped. Daunting. If you were going down the list of the most naturally gifted strikers on the planet, it's likely that Diego Costa wouldn't crop up for a fair bit. The Brazilian born Spanish international is not necessarily the most technically sound forward in the business, but what he can do is completely and utterly bully a defence. The 29-year-old can do this not just with his imposing physical presence, but with his mental fortitude as well. He is one of the best out there at getting inside the head of his opponent, using whatever skullduggery is required to haul his team to victory. From the stunner (pictured above) against Aston Villa, to the how-the-hell-did-do-that against Charlton, Robin van Persie is quite simply a volleying machine. The Dutchman is the master of the unorthodox and technically impeccable volley. Most strikers would be daunted by the time he had to wait for the ball from Wayne Rooney to come down, but not him. He artfully shaped his body, and struck it at the perfect time with unadulterated power. Sublime. One of the most frightening prospects in world football is undoubtedly seeing Hakan Çalhanoğlu perched over a dead ball. The Turkish playmaker has been phenomenally prolific over the years from such a situation, having honed this skill religiously while at Bayer Leverkusen. The 24-year-old reportedly modeled his technique on the infamous dead ball striker Juninho, and when you watch a few of his finer efforts, you can see how. The "Philippe Coutinho" goal has become almost as synonymous as the "Arjen Robben". Indeed, it's not that dissimilar from the Dutchman's signature effort, but crucially, the Brazilian's comes from the opposite side. The Barcelona man became known in his days at Anfield for netting the spectacular, but it would always follow the same script - an emphatically curled effort from outside the box, that would spiral wonderfully into the corner at an unbelievably regular rate. In a Blaugrana shirt, the 26-year-old has continued this trait to a devastating effect. This article is brought to you by NYC’s Black Tap Craft Burgers & Beer - which has just opened in Singapore at The Shoppes at Marina Bay Sands. Find out more here.